The Level 3 First Aid at Work Course is a combination of classroom based learning and also hands on practical instruction. 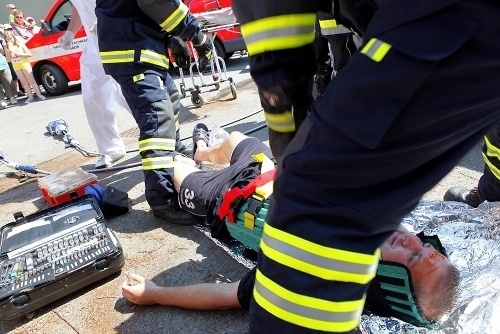 Successful candidates will gain First Aid at Work Certification valid for three years. First Aid at Work Training Courses are three day courses and can be held at our bespoke training centres or at your premises. A certificate, valid for three years and recognised by the Health & Safety Executive, is awarded to each candidate who reaches the required standard. This certificate qualifies the holder to act as a First Aider at Work under the Health & Safety (First Aid) Regulations 1981. What does the First Aid At Work Course cover? Who are First Aid at Work Courses for? This qualification is suitable for all staff who work in a high risk business, where the risk assessment has indicated the higher level of first aid cover is needed. It is ideal for the private and public sectors. For people who need a lower level of first aid cover, the one-day Emergency First Aid at Work course is available. How long does the First Aid At Work Course last? Our First Aid at Work Course is a three day course. End of course candidate review is carried out by independent, external assessors through written, practical and oral assessment. Certificates are valid for three years.